I remember running across my uncle’s farmyard one day when I was five years old. Minutes earlier my family had arrived at his house. The sun was bright. It was probably hot, too, being in the heart of South Carolina. I don’t remember the heat, though; I only recall the bright sunshine of the day. Crops stood on both sides of the beaten-down, earthy path that ran from my uncle’s house to my granddaddy’s house. The crops were probably cotton, but I paid no attention to them. I was focused on the “big house” ahead—and on my granddaddy. He lived in the wooden-framed house. Eagerly, I raced up the steps and onto the wrap-around porch. Huge pecan trees offered their shade on the far side of this veranda. Granddaddy sat in the shadows of the pecan grove. Watching and waiting, he was longing for me to come to him. As he pulled me onto his lap, I smelled the sweetness of peppermint. He always had peppermint sticks in his pocket. He wrapped his long arms around me and shared his sweet treats with me. We sat there, rocking together. 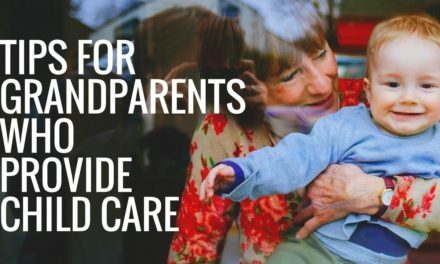 In a culture crowded with smart phones, computers and heavy schedules, relationships are too often diminished—even for grandparents. Living in a society which is ambiguous about their role, grandparents struggle to develop deep ties with their families. The result is that many grandparents remain at a distance. Yet it is through meaningful relationships that hearts are connected and values are passed. If we do not have strong connections with our grandchildren, we limit our impact on their lives. 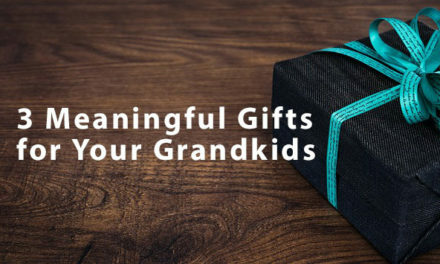 Most grandparents want to pass a legacy of character and integrity to their families. We long to be grandparents that matter. But with many distractions and interferences, it’s often a challenge to build strong ties with our families. As grandparents, we must become intentional in pursuing healthy relationships with our grandchildren. If we aren’t deliberate, even calculated, then our legacy will be diminished or possibly demolished. Yes, I warmly remember sitting in my granddaddy’s lap. Today, I want to create similar moments with my grandchildren. I, too, long for opportunities to connect with their hearts. However, I am often competing with cell phones, video games and hectic schedules. For many grandparents, our efforts are complicated by distance and divorce. As grandparents in the 21st century, we need to persevere in developing healthy relationships with our grandchildren. It’s important to understand the difference between a healthy relationship and a loving relationship. Sometimes they are the same; that’s the ideal. But in our turbulent times, many relationships are challenged. This is particularly true when divorce is involved. Sometimes we must realize that the ideal is not an option. We may not always have the loving, warm relationship we desire, but it is possible in most situations to have a healthy relationship. What are the foundational, basic elements of healthy relationships? First, respect is essential. Respect is when we treat our loved ones in thoughtful and courteous ways. We view their opinions, wishes and values as worthy of serious consideration. We may not always agree with them, but we do earnestly regard their thoughts. It sounds simple, but often it takes consistent effort to treat each other in such a way. We have to give respect to receive it. Often, once respect is established, trust will follow. These are vital pillars of a healthy relationship. A second factor in developing a strong relationship with our grandchildren is to have a healthy relationship with their parents, our grown children. 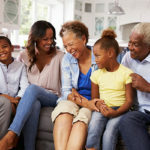 If you don’t have a viable relationship with the parents, it will be extremely difficult, if not impossible, to have a strong connection with your grandchildren. So, even before pursuing a meaningful relationship with your grandchildren, seek a healthy relationship with the parents. Invite them for a cup of coffee or a phone conversation where you explain your desires to be strongly connected to your grandchildren. Honesty is critical. If you have issues with your grown children, acknowledge them. When needed and possible, seek forgiveness for past hurts. Be quick to offer your forgiveness for existing grievances. 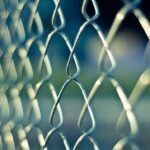 Mending these broken bridges is often the first step towards a healthy relationship with the parents as well as with your grandchildren. Third, having a healthy relationship does not mean we always agree or get along with our grandchildren. Most grandparents do have concerns or issues with loved ones, especially as they grow older. But with respect at the core, we have a base from which we can honestly interact with our grandchildren. Even if we are not seeing eye-to-eye with a grandchild, we can pursue a meaningful relationship. Sometimes, for the sake of the whole relationship, we must temporarily put aside the issues, and this is best done by verbally acknowledging our differences. It’s important to be honest; don’t gloss over problems or pretend issues aren’t there. If it’s helpful, set a time in the future to address these issues in a respectful way. 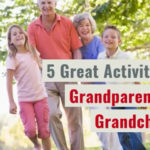 Meanwhile, focus on the positive aspects of your relationship by inviting your grandchild to something with you that you’re sure he or she will enjoy. In a busy world where doing seems to be most important, just being with our grandchildren is often overlooked, minimized or crowded out of our schedules. 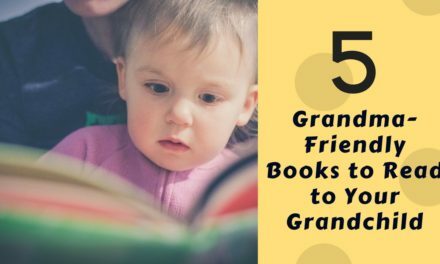 The most obvious way to be with our grandchildren is to spend time with them—and time is often one thing that grandparents are especially able to give. Go to their home. Invite them to your home. When distance is a factor, schedule time together in advance. Do this as often as is feasible. Since the ultimate goal is to have a heart connection, provide an activity or atmosphere where you are enjoying time together and you’re able to engage in meaningful conversation. Arrange an activity that will lift your loved one’s heart. Ice cream, milkshakes, or a cup of coffee if they are older, are easy choices to please a grandchild. The outing doesn’t need to be expensive or time-consuming. Sometimes less is better. If they like music, go to a concert. Maybe they enjoy sports—attend a game or watch one at home. Paint together or take a pottery class. Go to a nearby park to hike, or ride bikes through town. Do your grandchildren have an interest in architecture? Take a walk around town and study the local buildings. Play miniature golf, or go bowling, fishing or hunting (with appropriate safety precautions). Have “Christmas in July” and work on some Christmas projects. You get the idea: Do something that will please the heart of your grandchild. Make it fun! Laugh! Kick up your heels and enjoy the moment! The goal is to make a heart connection with this God-given person in your life. The point is to be together and cultivate a healthy relationship. If your grandchildren live too far away to do something like this one afternoon or evening, make an appointment and have a similar conversation over the phone. Maybe you could add an interesting twist by having both of you to go to your local Starbucks or a special restaurant that’s in both places, then Skype or FaceTime with each other. I hope you can tell your grandchildren “I love you” easily and often. That’s a significant and meaningful part of many healthy relationships. But it’s also very important to be authentic with your grandchildren, and if you cannot genuinely say “I love you,” then don’t. There are still sincere, affirming statements you can use. Tell them you are trying to be the best grandparent you can be. Explain that they are important to you. Tell them you care deeply about them. None of these are quite the same as saying those three simple but profound words, “I love you,” but it’s most important for you to be honest. Regular phone calls can be great connection points with grandchildren. Be ready with questions to ask them: about their day or other events you know about. Or just call and tell them you’re thinking about them today and wanted to say “Hi.” The conversation doesn’t need to be long; even a short call is a statement of love. Send a card, note or letter. Remember that forgotten art of letter writing? 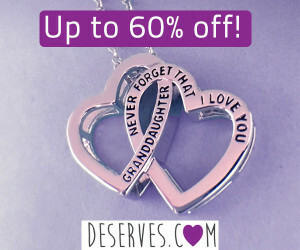 It is still a valuable way to intentionally share some special thoughts with your grandchild. A Hallmark card can be a grand way to say, “You are special to me,” and a powerful building block for relationships. Of course, modern means of communication, when coupled with more traditional approaches, add to strong relationships. Texting and emailing can be effective ways to keep in touch, as young people quickly relate to these methods. If you don’t text yet, make the effort to learn. It’s an easy, quick and direct means to communicate with your grandchild once they have a phone. Emailing allows for longer, more specific messages. 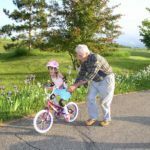 Yes, building healthy relationships with our grandchildren takes time, effort and creativity. Maybe that’s the most important point: be intentional. If you’re serious about pursuing healthy relationships with your grandchildren, devise a plan. Write it down and mark your calendar. Living in the fast-paced world of the 21st century, prioritizing is critical. Relationships with our grandchildren don’t just happen; they are investments we make in the coming generations. And when we succeed at creating those healthy relationships with our grandchildren, we can plant seeds that will bear fruit for generations to come. 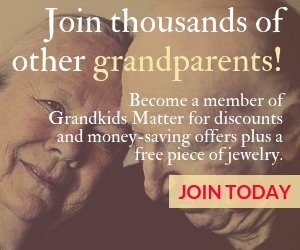 We are grandparents that matter! In his simple way, my granddaddy invested in me. He made me feel important and special. Today I fondly remember those summer afternoons rocking with him on his front porch. It is a sweet and treasured legacy. Each of us will leave a legacy. Usually, the legacy we want to leave is integrity, character, faith, or a skill like woodworking or cooking. The question is, Are we developing the quality relationships with them that will help that legacy to carry forward in their lives? Catherine Jacobs has four children and four grandchildren—all of whom she loves dearly. 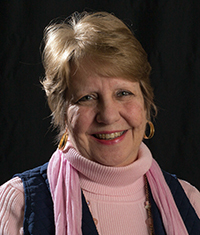 She has been a children’s pastor and currently writes and speaks to grandparents through Pass the Legacy (passthelegacy.com), an independent ministry to inform, encourage and equip grandparents. She lives in Charleston, SC.